Maps of Nebraska tend to be an important area of ancestors and family history research, especially if you live faraway from where your ancestor was living. Given that Nebraska political boundaries often changed, historic maps tend to be significant in helping you find out the precise specific location of your ancestor’s hometown, exactly what land they owned, exactly who their neighbors ended up being, and more. Maps of Nebraska often are likely to be an excellent source for how to get started with your research, because they provide you with significantly valuable information and facts immediately. 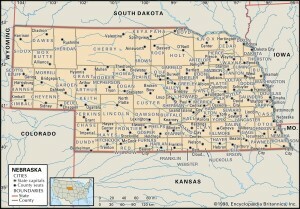 Nebraska Maps can be a major resource of considerable amounts of information on family history. Nebraska’s 10 largest cities are Omaha, Lincoln, Bellevue, Grand Island, Kearney, Fremont, Hastings, North Platte, Norfolk and Columbus. 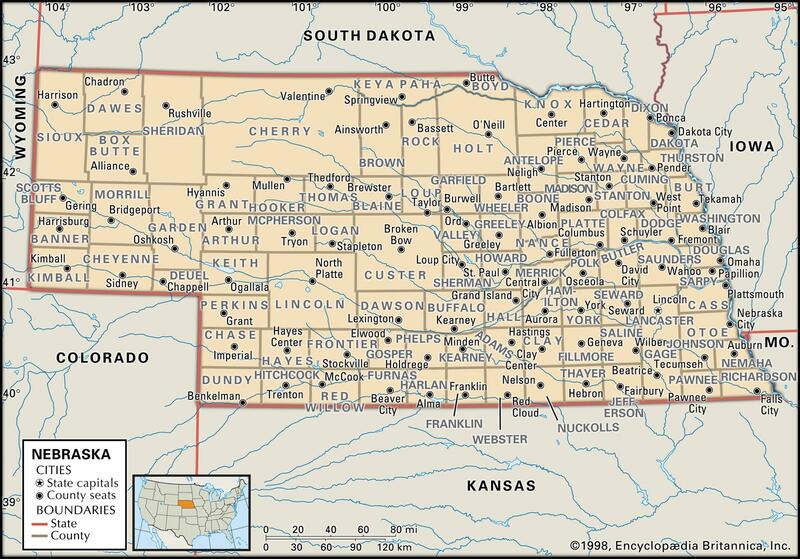 Learn more about Historical Facts of Nebraska Counties.